Almost Paradise - Audiobook | Listen Instantly! Twelve-year-old Ruby Clyde Henderson’s life turns upside down the day her mother’s boyfriend holds up a convenience store and her mother is wrongly jailed for assisting with the crime. Ruby and her pet pig, Bunny, find their way to her estranged Aunt Eleanor’s home. Aunt Eleanor is an ornery nun who lives in the midst of a peach orchard on Paradise Ranch. With a little patience, she and Ruby begin to get along. But Eleanor has secrets of her own—secrets that might mean more hard times for Ruby. It’s not going to be easy for Ruby Clyde and Eleanor to heal old wounds, face the past, and learn to trust each other. But with enough little pieces of love, they might be able to bring their family together again and learn that paradise isn’t a place―it’s the feeling of being home. 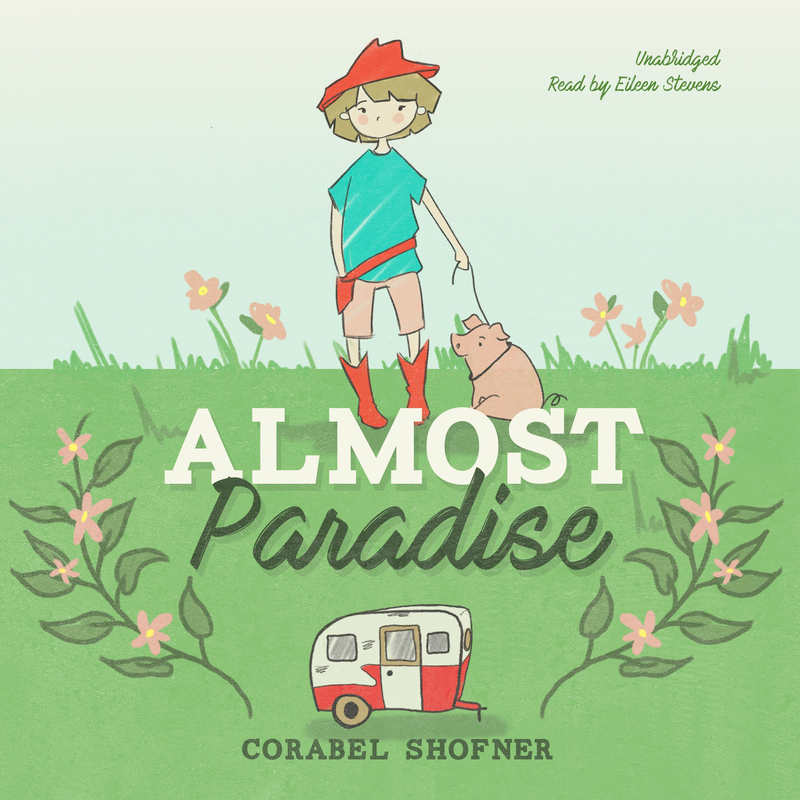 Corabel Shofner’s Almost Paradise is a bighearted novel about trust, belonging, and the struggles and joys of loving one another. 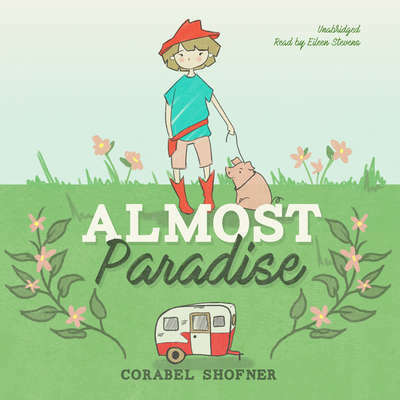 Corabel Shofner is a wife, mother, attorney, and author. She graduated from Columbia University with a degree in English literature and was on Law Review at Vanderbilt University School of Law. Her shorter work has appeared or is forthcoming in Willow Review, Word Riot, Habersham Review, Hawai’i Review, Sou’wester, South Carolina Review, South Dakota Review, and Xavier Review. Eileen Stevens is a voice-over actress living and working in New York City whose voice can be heard on cartoons, promos, programs for English-language learners, and audiobooks. She has voiced Iris on Pokémon. An Earphones Award–winning narrator, she has also directed and produced audiobooks for over six years.